Many, many thanks to Jimmy “Duck” Holmes and the wonderful people at the Blue Front Cafe, especially Sam Tucker and Gilbert Vowell for bringing me to this historic treasure of American music in Bentonia, MS. 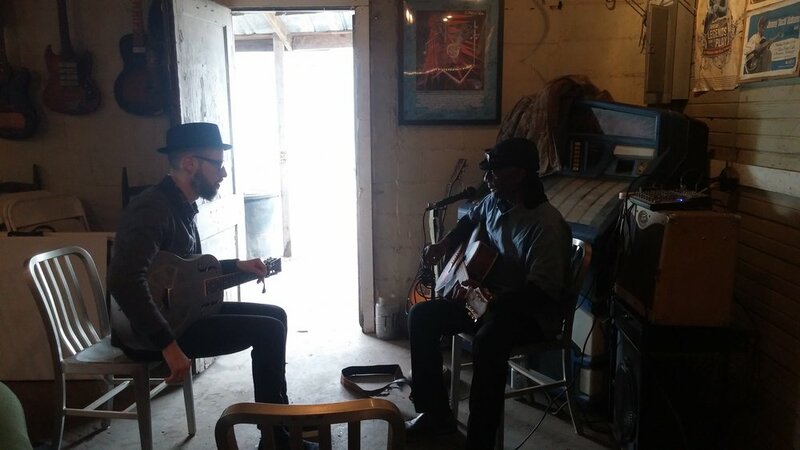 It was an honor to learn from Mr. Holmes and to play the blues as I’ve come to know it in the same room where Skip James, Jack Owens and Jimmy “Duck” Holmes have all carried on the tradition of the Bentonia blues style. If you have an interest in American music, especially the singular sound of Bentonia, do not wait to make your own pilgrimage to the Blue Front Cafe, which is the world’s oldest Juke Joint and the only place to hear the real Bentonia blues from Mississippi. Extra special thanks to Nick Loss-Eaton for making the trip with me and playing harp during my set.